Drivers can experience less hassle in your shopping experience for Chevrolet latest models of cars for sale. When looking for a Chevy dealer in Milwaukee, make the drive to Ewald Chevrolet Buick. You will enjoy a more relaxed time shopping for new and used Chevrolet latest models of cars for sale at Ewald’s Chevy dealer near Milwaukee. You will also find affordable deals and specials when checking out car dealers in Milwaukee WI at Ewald Chevrolet Buick. Ewald's Milwaukee car dealership is well known around Wisconsin for having drivers just like you in mind. When they select the inventory of Chevrolet latest models of cars for sale, they don't just consider style. We also aim to offer a broad range of prices on our cars for sale near Milwaukee WI. We are also known for our friendly and supportive customer service when searching for Chevrolet latest models of cars for sale. Here with Ewald's Chevy dealer near Milwaukee, drivers from all around Wisconsin can try out many different models and body styles all under one roof. That is sure to make shopping easier and faster in your search for the perfect new or used car. Our selection at our car dealer near Milwaukee WI offers many models and body styles to choose from, including used Chevrolet Corvette cars for sale. Not only does Ewald's Chevy dealer near Milwaukee provide many new and used cars for sale to try out and enjoy, but we also offer plenty of affordable deals too. Find the vehicle, like the Corvette for sale within the budget you set for your next car. What more reason do you need to stop by Ewald's Chevy dealer near Milwaukee today? Come over to Ewald Chevrolet Buick and take a look at a new or used Chevrolet Corvette for sale today. 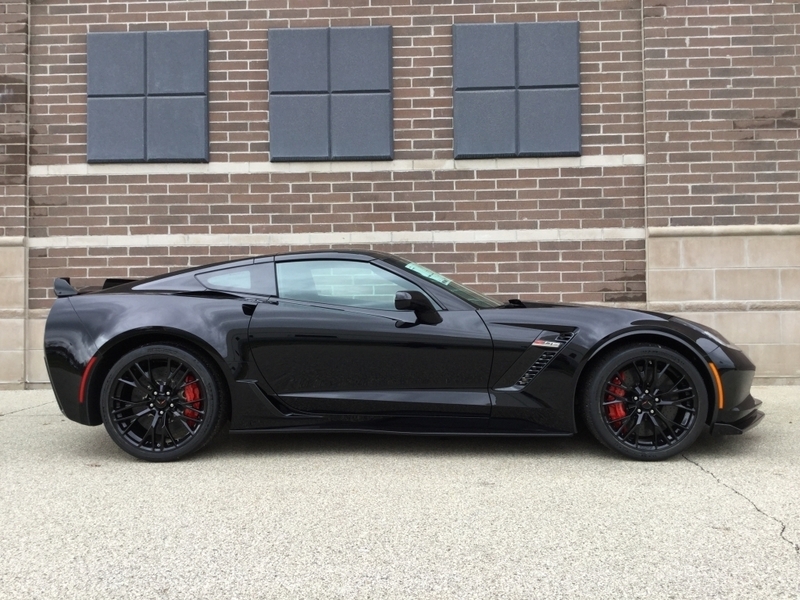 One Corvette for sale near Milwaukee that you may want to check out is the stunning new 2019 Chevrolet Corvette Z06 3LZ for sale. This Corvette for sale near Milwaukee car dealerships of Ewald Chevrolet Buick is packed full of power. Under the hood, you will discover the 6.2-liter V8 engine that boasts an incredible 650 horsepower. And it’s not just the horsepower that will take you by surprise. It’s also the many features you will find on the inside of this Corvette for sale near Milwaukee WI. Including WiFi, a built-in navigation system, and luxurious leather seats. Come out and take this Corvette for sale near Milwaukee WI out for a test drive today. If this Chevy Corvette isn’t the right vehicle for you at Ewald’s Chevy dealer near Milwaukee, take a look at our other new and used cars for sale. When it comes to Chevrolet latest models of cars for sale at Milwaukee car dealerships, make the drive to Ewald Chevrolet Buick. You will find Ewald Chevrolet Buick conveniently located at 36833 E Wisconsin Ave in Oconomowoc, WI 53066. You can also give us a call at (262) 226-2842 or check out our Chevrolet Corvette inventory online.